Sage Machinery Diagnostics was founded in 2014 by Chuck Kemp and Paul Grabill, both seasoned veterans within the aircraft imbedded diagnostic industry. Both Paul and Chuck have been directly responsible for the design, fielding and support of over 800 aircraft onboard monitoring systems and 2000+ portable systems. Between the two of them, they have over 50 years of experience in the field of aircraft vibration monitoring and diagnostics alone. Paul started in 1983 working at GE aircraft engines in vibration testing and balancing of aircraft engines. He personally wrote the software that is still used today at the factory to balance these large turbofan engines. Additionally, Paul was the Chief Engineer and a principal owner with Intelligent Automation Corporation (IAC) until it was acquired by a large US based aerospace conglomerate. 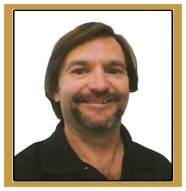 Chuck began his career in 1981 working on rotorcraft as a licensed aviation maintenance technician, and progressed into maintenance management for a large fleet operator. Subsequently, he switched roles and became involved in design and supporting aircraft diagnostic systems. He has traveled the world supporting aircraft OEM’s and their customers providing expert advice on rotor smoothing and system support. Chuck provides a unique perspective in designing and integrating onboard diagnostic systems based on his vast hands on experience and from working as a user and as a vendor. Paul and Chuck started working together in 1993 at Scientific Atlanta on the RADS-AT. For most of the years since then these two have worked side by side on teams that developed the US Army VMEP I program, the Scientific Atlanta NuHUMS (later to become the UK-MOD and GE HUMS (AB609), the US Army VMEP II program, the IAC VMEP, and the IAC 1030/1209/1134/1239 product line which also includes the popular BHVM system currently fielded by Bell. Together they have been fundamentally involved in the development of 4 generations of HUMS equipment. Today they have teamed with the leading supplier of HUMS and RTB sensors to provide the next (5th) generation in onboard diagnostic monitoring.